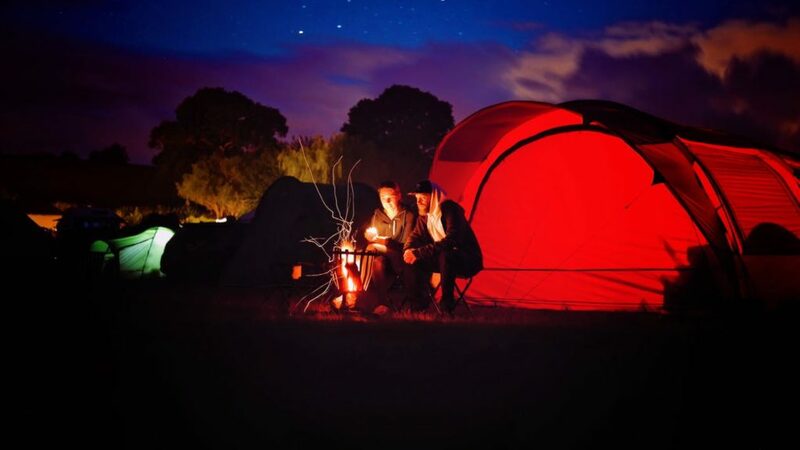 Camping is one of those getaways that everyone simply must experience, at least once in their life. It’s an affordable way to travel as a family and gives everyone a chance to get outdoors, explore, and really appreciate nature. If you’re looking to introduce your kids to camping this year and want to ensure that first family camping trip is a hit, then there are a few extra steps and tips that you can use that will help ensure it’s a success. If you plan on using the same tent you and your significant other used long before you had kids, it’s time to re-think your plan. One of the best ways to sabotage the first family camping trip is to use a tent that is too small. Instead make sure you’ve got a tent that is meant to sleep the amount of people in your family. The Coleman Sundome tent is an excellent example as it comes in various sizes, all of which are available at a very reasonable price-point. What this means is that it will be comfortable for all and you won’t have to worry about the tent going over budget. Now because you don’t really know how that first camping trip will go, it’s not a bad idea to stay relatively close to home. Keeping within an hour’s distance can be quite wise should things go bad, you realize you’ve forgotten something at home, and you want to be at the campsite for as long as possible rather than on route. Before your camping trip actually happens, you can always give it a trial run in the backyard. This is an excellent way to introduce kids to sleeping outside in a tent and get a taste for what it will be like. They will still have all the amenities of the house, but at least the trip won’t be quite as shocking to them since they had that practice run. Camping provides people with the opportunity to explore, go hiking, and take part in water activities (depending on the campsite), but at the same time it can be a little boring for kids. They aren’t always going to be in the mood for a nature hike. You’ll want to think ahead and bring some activities and games that the whole family can take part in. It’s also a good idea to get the whole family involved in meal preparation. Cooking outdoors is a whole other experience and can be quite fun. Kids can help not just with the meal preparation but with the cleaning up after. The final tip is to keep the trip relatively short that first time. Even just one night away is enough to give kids their first glimpse into camping. Easing them into it can make for a much smoother experience. Now that you’re armed with a variety of tips, you’ll be ready to take on camping as a family this year.